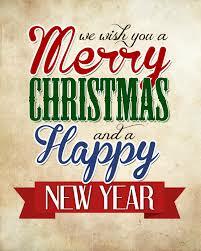 We hope that you have a very Merry Christmas and a Happy New Year! All sophomore student-athletes from any season are encouraged to participate in the Be the Best workshop on January 12th in the auditorium during 2nd period and SRT. Please sign up before break at the athletic office or with Mr. Kissinger on Thursdays when he is on lunch duty. This is great morning of activities with fellow student-athletes on current events in sports, leadership activities, integrity and bullying/hazing prevention. Excuses vs. Excellence? Choose excellence by participating! Starting on January 4th, students and staff will no longer be able to deposit money in the cafeteria at breakfast. Please see the bookkeeper to deposit your money. Mrs. Haney can accept cash, check, or debit/credit cards. You can also deposit money or check your balance at myschoolbucks.com. After Spring Break, no money will be accepted in the cafeteria. You will need money on your account to make ANY purchases. Seniors: The guidance office has received a new scholarship. If you are planning on going to college for an office-related career please stop in to pick up an application. The boys JV basketball team will host a holiday tournament on Monday, December 21st at 10:00 a.m. What a fun way to start break by cheering on the Redskins! The girls JV and varsity basketball teams will host a holiday tournament on Saturday, January 2nd starting at 11:00 a.m. Student tourney passes for this event are only $3! Come and see the first GHS team compete as the RedHawks! Goshen swam well, but lost to Elkhart Central 110-76. The girls totaled 19 career best times bringing their season total up to 70. Goshen placed 1st in the 200 Medley Relay (Jenea Born, Makala Saeger, Anna Paetkau and Abby Hetler), 50 Freestyle (Anna Paetkau), 100 Back Stroke (Jenea Born), 100 Breast Stroke (Makala Saeger). Goshen lost to Elkhart Central 98-88. In this meet, Goshen tallied 20 career best times bringing their season total to 73. Goshen had 1st place finishes in the 200 Freestyle (Alex Ramos), Diving (Hudson Kay – breaking a school record @ 320.55), 500 Freestyle (Alex Ramos). The boys freshman basketball team lost to Northridge 30-28. Goshen was led in scoring by Bryant Robinson with 14 points and Joseph Good with nine points. The varsity boys basketball team defeated the Northridge Raiders 54-40. Senior Brady Bechtel led Goshen with 25 points, while CJ Detweiler, James Paetkau, and Mitchell Walters each added eight. Detweiler led the Skins with eight rebounds. The JV boys basketball team defeated the Northridge Raiders 38-24 on Thursday night. The Skins were led by sophomore Clayton Litwiller who tallied 13 points and grabbed nine rebounds. Junior Michael Pinarski added nine points and sophomore Lucas Bontreger contributed eight. The Lady Redskins C team lost to the Lady Raiders 42-7. The girls JV and varsity basketball teams will play at Northridge. JV starts at 6:15 p.m., followed by varsity at 7:30 p.m. The boys JV and varsity wrestling teams will host Northridge at 6:45 p.m. The boys varsity diving team will compete in the South Bend Washington Diving Invitational at 9:00 a.m. The boys and girls JV and varsity swim/dive teams will compete at South Bend Riley at 9:30 a.m. The boys varsity wrestling team will compete in the Hobart Super Duals at 10:00 a.m. The girls basketball teams will host Ft. Wayne Carroll. The freshman and JV teams will play at 6:00 p.m., followed by varsity at 7:30 p.m. There is an important meeting for the boys JV and varsity soccer teams TODAY right after school in Whiteman Gym. Following the meeting there will be an open play for players who wants to stay and play. The boys and girls varsity swim/dive teams will compete at Elkhart Central at 4:45 p.m. The girls freshman basketball team will play at Northridge at 6:00 p.m. The boys freshman basketball team will play at Northridge at 7:15 p.m. The boys JV and varsity basketball teams will host Northridge. JV will play at 6:15 p.m., followed by varsity at 7:45 p.m.
Comunicado de prensa de la Corporación Escolar de Goshen: El 15 de diciembre, aproximadamente a las 11 a.m., un padre llamó a la preparatoria Goshen High School para notificar a los directores de una amenaza que estaba publicada en Facebook. En cuestión de minutos de recibir la llamada, el alumno que supuestamente envió el comentario fue llevado a la oficina principal para que la situación fuera manejada, y se tomaron las medidas disciplinarias apropiadas. El alumno admitió que las amenazas no eran enserio, pero que pensó que sería divertido hacer el comentario en Facebook. La situación se reportó inmediatamente a la policía local. El personal de Goshen High School continuará trabajando con las autoridades con respecto a esta situación. En la Corporación Escolar de Goshen sigue siendo una prioridad el lidiar con todos los problemas de seguridad a medida que continuamos luchando por la excelencia en todo lo que sucede en nuestras escuelas. Comunicado de Prensa del Departamento de Policía: El oficial de recursos escolares del departamento de policía de Goshen que está asignado a la escuela preparatoria de Goshen High School fue notificado por uno de los subdirectores acerca de un incidente que involucraba a un alumno haciendo amenazas con un arma de fuego por medio de un mensaje de texto a otro alumno. Las amenazas estaban dirigidas a toda la escuela, sugiriendo que el sospechoso iba a lastimar a muchos con un arma de fuego, no sólo al que estaba recibiendo el mensaje de texto. El oficial de policía Johnson se reunió con el personal de la escuela a donde el sospechoso fue escoltado. El oficial Johnson esculcó al sospechoso, sus pertenencias y su casillero. No se le encontró ninguna arma. Dada la severidad de la amenaza y el historial del sospechoso, se hicieron arreglos en conjunto con el personal de Elkhart County Juvenile Detention para detener al sospechoso hasta que tenga su audiencia de emergencia en la corte Juvenil, el jueves, 17 de diciembre. El sospechoso, menor de edad, fue arrestado con cargos de intimidación y actualmente está detenido en la correccional de menores. Todas las medidas fueron tomadas por los directores de la escuela y oficiales de policía para hacer frente a la amenaza del joven y potencialmente prevenir cualquier acción adicional o violencia por parte del sospechoso. La administración de la escuela ha suspendido al menor y está a la espera de tener una audiencia de expulsión con el estudiante. El sistema de la corte juvenil de menores escuchará el caso y determinará cualquier medida adicional que sea requerida. Goshen Community Schools: ** La discrepancia entre los dos comunicados de prensa en relación con los mensajes de texto o el uso de Facebook se deben a la utilización de la mensajería de Facebook y mensajes de texto de Facebook capturas de pantalla. Los comunicados de prensa son sobre el mismo incidente, que fue reportado por Goshen High School, y se ha actuado por el Departamento de Policía de Goshen. On December 15th, at approximately 11:00 a.m., a parent called GHS to notify the administration of a threat that he noticed on Facebook. Within minutes of receiving the call, the student who allegedly posted the comment was brought to the office and the situation was handled, and appropriate discipline steps were taken. The student admitted that he was not serious about the threat, but thought it would be funny to make the comment on Facebook. The situation was immediately reported to local law enforcement. GHS will continue to work with the authorities in regards to this situation. At Goshen Community Schools, it continues to be a priority to deal immediately with all safety concerns as we continue to strive for excellence in all that happens in our schools. The Goshen Police School Resource officer assigned to the Goshen High School was notified by the school’s Assistant Principal of an incident involving a student making threats with a firearm via text message to another student. The threats were directed toward the entire school and suggested that the suspect would bring about harm to many with a firearm, not just the recipient of the text message. SRO Johnson joined school staff in the office to where the suspect was escorted. SRO Johnson searched the suspect, his belongings, and his locker. No weapon was located. Due to the severity of the threat and the history of the suspect, arrangements were made in conjunction with Elkhart County Juvenile Detention staff to detain the suspect until his emergency hearing in Juvenile court, Thursday, December 17th. The juvenile suspect was arrested on charges of Intimidation and is currently being held in juvenile detention. Every measure was taken by school administration and police officers to address the juvenile’s threat and potentially prevent any additional actions or violence by the suspect. The school administration has suspended the juvenile pending his expulsion hearing. The Juvenile court system will hear the case and determine what further action may be required. **The discrepancy between the two press releases regarding texting or the use of Facebook are due to the use of Facebook messaging, and texting Facebook screen shots. The press releases are about the same incident, which was reported by Goshen High School, and has been acted upon by the Goshen Police Department. Attention German students: The Christmas caroling at Greencroft is TODAY! Remember to stay after school TODAY to practice. We will head to Greencroft at 4:00 p.m.
We will have extended media hours for tutoring TODAY. You can get help, study or just do homework from 3:45-5:00 p.m. You need to be in the media center by 3:45 p.m. any day you attend. Student Council will be selling Santa Grams for $1 during lunch this week! Have them sent to your friends, favorite teachers or significant other during SRT. 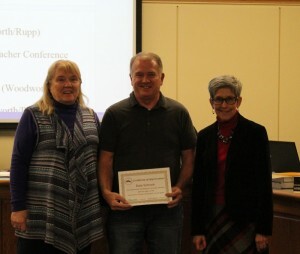 The guidance office has just received the aspiring nurse scholarship. If you are going into that field, please stop by the guidance office for more info. Drama Club will be hosting a workshop TODAY after school in the choir room. See Grace Bickel, Nathan Berkey or Abigail Greaser if you have questions. Comfortable clothing, tennis shoes and a water bottle are recommended. There is an important meeting for the boys JV and varsity soccer teams tomorrow right after school in Whiteman Gym. Following the meeting there will be an open play for players who wants to stay and play. The wrestling team defeated Northwood, 42-37. Winning by pin for the Redskins were Miguel Navarro, Eric Contreras, Derek Paz and Jose Montanez. Attention German students: The Christmas caroling at Greencroft is tomorrow! Remember to stay after school tomorrow to practice. We will head to Greencroft at 4:00 p.m.
We will have extended media hours for tutoring tomorrow. You can get help, study or just do homework from 3:45-5:00 p.m. You need to be in the media center by 3:45 p.m. any day you attend. Drama Club will be hosting a workshop tomorrow after school in the choir room. See Grace Bickel, Nathan Berkey or Abigail Greaser if you have questions. Comfortable clothing, tennis shoes and a water bottle are recommended. There is an important meeting for the boys JV and varsity soccer teams on Thursday right after school in Whiteman Gym. Following the meeting there will be an open play for players who wants to stay and play. TODAY, during the 2nd session of SRT there will be a call out meeting on the upper deck of the main gym just outside the wrestling room for any boy interested in playing golf. Come and find out more about the boys golf team and the season that will start in March. No matter what your skill level or golf experience, plan on attending! There will be an important meeting for the committee in charge of honoring and retiring the mascot TODAY during the 1st session of SRT. If you are a member or have helped this committee in any way you’re invited to come to the music classroom where we have met in the past. We will be putting final details on our celebration for Goshen High School. The boys JV and varsity wrestling teams will host Northwood at 6:45 p.m. Go Redskins! 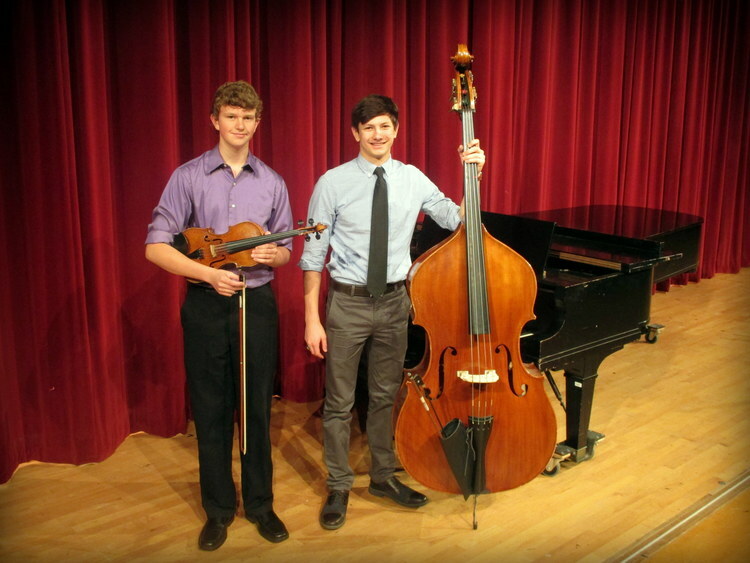 Congratulations to sophomores Matthew Herrmann (violin) & Cade Fisher (bass) on acceptance into the Indiana Chapter of the American String Teachers Association’s Indiana All State Orchestra. To be placed in this ensemble students had a short amount of time to prepare a blind audition consisting of rigorous scales, orchestral excerpts, and solo literature. 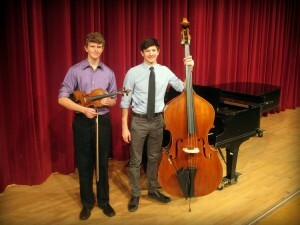 Matthew and Cade will travel to Fort Wayne to rehearse with all students accepted to the All State Orchestra on Friday, January 15th and will perform at the Indiana Music Educators Association Professional Development Conference on the early afternoon of Saturday, January 16th in the historic Embassy Theater in downtown Fort Wayne. ParentCONNECT is currently offline. We are working on getting it online as soon as possible. Sorry for the inconvenience. We will have extended media hours for tutoring TODAY and Wednesday. You can get help, study or just do homework from 3:45-5:00 p.m. You need to be in the media center by 3:45 p.m. any day you attend. Ski Club packets are still available in Mrs. Clark’s room, 2280. Make sure to pick yours up! Paperwork and money are due TODAY. Student ID’s will be honored for non-tournament athletic events at Goshen College. If you want to see a GC athletic event, your GHS student ID is your ticket in! Student Council will be selling Santa Grams for $1 during lunch this week! Have them sent to your friends, favorite teachers or significant other during SRT.The guidance office has just received the aspiring nurse scholarship. If you are going into that field, please stop by the guidance office for more info. Students – You MUST have an ID to purchase meals/food in the cafeteria. If you don’t have an ID, please stop by the welcome center and get one BEFORE coming to the cafeteria. 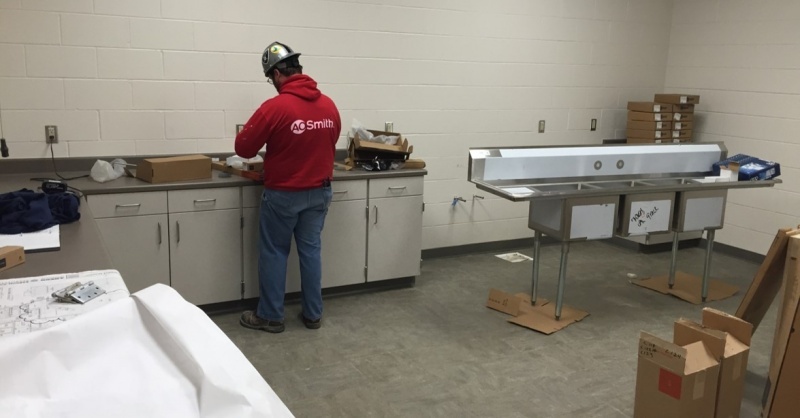 Starting on January, students and staff will no longer be able to deposit money in the cafeteria at breakfast. Please see the bookkeeper to deposit your money. Mrs. Haney can accept cash, check, or debit/credit cards. You can also deposit money or check your balance at myschoolbucks.com. After Spring Break, no money will be accepted in the cafeteria. You will need money on your account to make ANY purchases. Tomorrow, during the 2nd session of SRT there will be a call out meeting on the upper deck of the main gym just outside the wrestling room for any boy interested in playing golf. Come and find out more about the boys golf team and the season that will start in March. No matter what your skill level or golf experience, plan on attending! Goshen swam well against Warsaw, but came up short. Hudson Kay won diving with a score of 288.20. Goshen placed 2nd in 8 of the remaining 11 events. The varsity Lady Redskins were handed their second loss of the season Saturday night by the St. Joe Indians, ending with a final score of 56-24. The Redskins led the number four ranked team in class 3A after one quarter. The Indians were able to regain the lead before halftime. The Redskins couldn’t contain the offensive power of the Indians, giving everything they had. The Redskins were led by Kyrie Potter with eight points and five rebounds. Jill Kissinger added six points. Aylissa Trosper had six rebounds while Olivia Love and Alyssa Hershberger had five. The JV girls basketball team lost to the St. Joe Indians Saturday night, 40-20. The Redskins were led in scoring by Jordan Nemeth with five points. Nyla Dean added six rebounds and four steals. The varsity Lady Redskins won a tough battle against Wawasee, 47-37. They got out to a 15-6 lead at the end of the first quarter, and stretched the lead to 23-13 at halftime. The Warriors started clawing back in the third quarter before the Redskins were able to pull together and finish the game strong. The Redskins were led by Tahya Bruce’s 11 points, 11 rebound night. The other high scorers were Kyrie Potter with 15, Olivia Love with ten and Ashton Ellis with eight. Aylissa Trosper added five assists on the night. The JV Lady Redskins were able to hold on to get their first victory in 6 games Friday night over Wawasee, winning 31-29. The Redskins jumped to an eight point lead at halftime, but the Warriors fought back in the 4th quarter. The Redskins were able to hit key free throws to keep the game. They were led by Maggie Gallagher with ten points and 11 rebounds to record her first double-double. Josie Walters contributed six points to the win. ParentConnect will be offline starting at 6pm tonight for system maintenance. We hope to have the system back online before midnight. Congratulations to Senior football player, Jordan Holley! He was awarded IFCA 1st Team All-State Honors, as well as Associated Press 1st Team All-State Honors. He is the first Goshen player to receive All-State recognition since 2009. Also, congratulations to Senior football player, Derek Paz. He made Honorable Mention on the AP All-State Team! Come and enjoy the choir Concert TONIGHT. This wonderful concert will feature all our choirs and the Crimsonaires singing holiday favorites! There are two concerts – 6:00 p.m. and 8:15 p.m. All tickets are $4 at the door. Students: If you will miss a final exam, you will be expected to make it up after Christmas Break unless you have an administrator’s approval to take the exam early. You are expected to take your final exams on the day they are assigned unless you have communicated with your teacher AND have administrator approval. We will have extended media hours for tutoring on December 14th and 16th. You can get help, study or just do homework from 3:45-5:00 p.m. You need to be in the media center by 3:45 p.m. any day you attend. Anyone interested in playing volleyball intramurals can stop by the athletic office and pick up a team or individual registration form. Games will be played through January here at GHS. Each player will receive a t-shirt and the winner of each league will get a pizza party. Each player will have a fee of $8. This fee will cover any intramurals that you participate in this year (volleyball, soccer, basketball). Forms and money are due to Mrs. West in the athletic office by the end of the day TODAY. For more information see Mrs. West or email her at kwest@goshenschools.org. Ski Club packets are still available in Mrs. Clark’s room, 2280. Make sure to pick yours up! Paperwork and money are due on Monday. IHSAA Student-Athlete Tip of the Week: Does your coach talk with you about the use of social media? Are there specific rules and guidelines initiated by your athletic department? Do you follow the guidelines and expectations? A tweet with “insensitive language” caused a Massachusetts cheerleader to be banned from her squad for the rest of the season. This should be a reminder to all student-athletes to think twice before posting any questionable material on social media. What may not seem foolish or insensitive to you could offend someone else. Don’t deter your academic and athletic quests by the push of a button! Student Council will be selling Santa Grams for $1 during lunch next week! Have them sent to your friends, favorite teachers or significant other during SRT. Key Club will be ringing bells at Walmart Supercenter tonight. Members who signed up to ring bells should check their email for important instructions. On Tuesday, during the 2nd session of SRT there will be a call out meeting on the upper deck of the main gym just outside the wrestling room for any boy interested in playing golf. Come and find out more about the boys golf team and the season that will start in March. No matter what your skill level or golf experience, plan on attending! The girls C basketball team lost a tough battle against the Lady Warriors, 10-33. The varsity boys basketball team lost to the visiting Fremont Eagles by a score of 56-53. Junior CJ Detweiler led the Skins with 23 points and seven rebounds, and fellow junior Eliot Nafziger added 17 points in the loss. The JV boys basketball team smothered the visiting Fremont Eagles by a score of 49-18. Sophomore Brockton Yoder led Goshen with ten points while fellow sophomore Domonick Swinney added eight. The boys freshman basketball team defeated Wawasee, 37-23. Goshen was led in scoring by Bryant Robinson with 11 points and Ben Bontrager-Singer with eight points. The girls JV and varsity basketball teams will host Wawasee. JV starts at 6:15 p.m., followed by varsity at 7:45 p.m. Boys JV wrestling will host the Goshen Invite starting at 8:00 a.m. The boys and girls JV and varsity swim/dive teams will compete at Warsaw at 9:30 a.m. The girls JV and varsity basketball teams will compete at South Bend St. Joe. 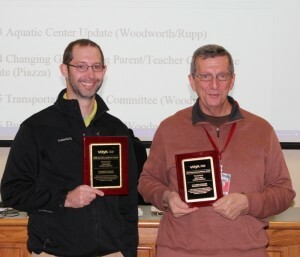 JV starts at 6:30 p.m., followed by varsity at 7:45 p.m.
Mrs. Ummel introduced Dale Schrock, who often serves as an event supervisor for GHS athletics. Mr. Schrock was honored for the calm, professional handling of a stressful situation, the loss of field lights, during a big NLC varsity girls’ soccer game versus Concord. 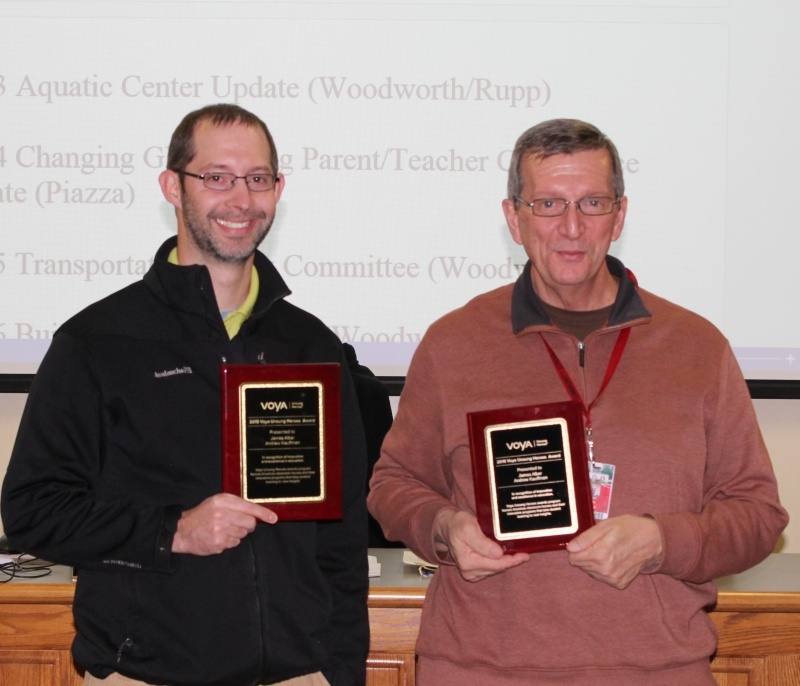 Also honored by the board were teachers Andrew Kauffman and Jim Alber, who were the recipients of the VOYA Unsung Heroes award, in the amount of $2,000. 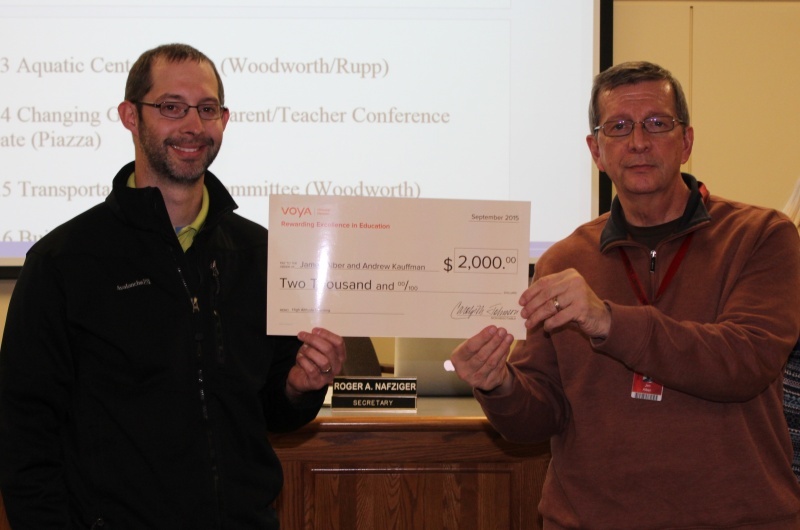 Mrs. Ummel read from the VOYA news release that stated VOYA “awards grants to K-12 educators nationwide to honor their innovative teaching methods, creative educational projects, and their ability to positively influence the children they teach”. 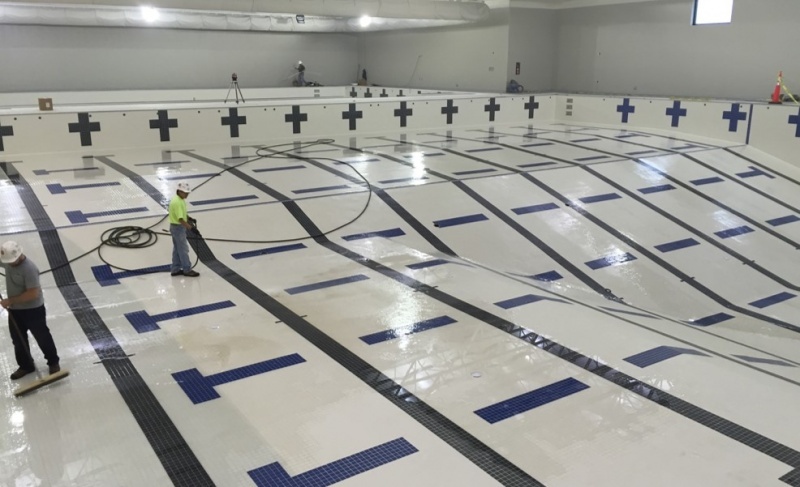 John Place, President of Ancon Construction, provided an update regarding the natatorium at the board meeting on December 7th. 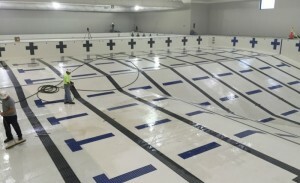 The pool tile (pictured below) is getting a final cleaning and the pool will be filled by December 16th. The lockers (as pictured below) arrived this week, and the locker rooms and restrooms are also being completed. The concession stand (pictured below) is being finished, and should be completed before the end of the week. 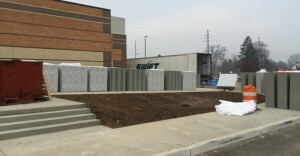 An inspector will be at GMS right after Christmas, and the new facility should be ready for students when they come back from break. Anyone interested in playing volleyball intramurals can stop by the athletic office and pick up a team or individual registration form. Games will be played through January here at GHS. Each player will receive a t-shirt and the winner of each league will get a pizza party. Each player will have a fee of $8. This fee will cover any intramurals that you participate in this year (volleyball, soccer, basketball). Forms and money are due to Mrs. West in the athletic office by the end of the day tomorrow. For more information see Mrs. West or email her at kwest@goshenschools.org. Student Council will be selling Krispy Kreme doughnuts tomorrow morning in the commons! The cost is $1 a doughnut, $10 a dozen or $8 per dozen for 2 or more dozen. Key Club will be ringing bells at Walmart Supercenter tonight and tomorrow night. Members who signed up to ring bells should check their email for important instructions. The December Stay In Bounds Ambassador meeting will be a “walk by” meeting with your only task being to choose your t-shirt design. Please “walk by” the weight room entrance TODAY at the start of the 2nd session of SRT to vote and pick up a Christmas treat! The boys JV and varsity basketball teams will host Fremont. JV plays at 6:00 p.m., followed by varsity at 7:30 p.m. The girls freshman basketball team will host Wawasee at 7:45 p.m. The boys freshman basketball team will host Wawasee at 6:30 p.m.
We will have extended media hours for tutoring TODAY as well as on December 14th and 16th. You can get help, study or just do homework from 3:45-5:00 p.m. You need to be in the media center by 3:45 p.m. any day you attend. Anyone interested in playing volleyball intramurals can stop by the athletic office and pick up a team or individual registration form. Games will be played through January here at GHS. Each player will receive a t-shirt and the winner of each league will get a pizza party. Each player will have a fee of $8. This fee will cover any intramurals that you participate in this year (volleyball, soccer, basketball). Forms and money are due to Mrs. West in the athletic office by the end of the day Friday. For more information see Mrs. West or email her at kwest@goshenschools.org. Student Council will be selling Krispy Kreme doughnuts on Friday morning in the commons! The cost is $1 a doughnut, $10 a dozen or $8 per dozen for 2 or more dozen. Key Club will be ringing bells at Walmart Supercenter tomorrow and Friday. Members who signed up to ring bells should check their email for important instructions. The December Stay In Bounds Ambassador meeting will be a “walk by” meeting with your only task being to choose your t-shirt design. Please “walk by” the weight room entrance tomorrow at the start of the 2nd session of SRT to vote and pick up a Christmas treat! The varsity Lady Redskins overcame a 12 point deficit at halftime to beat the Chargers, 46-40. The Redskins came out with a fire in the second half that they did not have the first half. They were led in scoring by Ashton Ellis with 14 points, Kyrie Potter with 12 points and Tahya Bruce with 11 points. Olivia Love and Bruce also contributed eight rebounds apiece. The Redskins play Wawasee Friday night for their second NLC game of the season. The JV Lady Redskins were not able to come back from an eight point deficit in the third quarter, and lost to West Noble 30-24. They were led in scoring by Maggie Gallagher with ten points. Gallagher also had five steals. The girls C basketball team dominated the Hornets, and won 22-5. The leading scorers for the Lady Redskins were Evelyn Santos, Kasey Rodriguez and Courtney Sloop each with four points and Jazmin Vargas with five points. We will have extended media hours for tutoring on December 9th, 14th and 16th. You can get help, study or just do homework from 3:45-5:00 p.m. You need to be in the media center by 3:45 p.m. any day you attend. Did you forget to turn in your senior announcement order? Jostens representatives will be returning TODAY from 10:00-10:45 a.m. in the commons to take FINAL graduation products and cap/gown/tassel unit orders. You can see all of Jostens products at www.jostens.com. The December Stay In Bounds Ambassador meeting will be a “walk by” meeting with your only task being to choose your t-shirt design. Please “walk by” the weight room entrance Thursday at the start of the 2nd session of SRT to vote and pick up a Christmas treat! The girls JV and varsity basketball teams will play at West Noble. JV starts at 6:00 p.m., followed by varsity at 7:15 p.m. The girls freshman basketball team will host Angola at 6:30 p.m. The boys JV and varsity wrestling teams will host Elkhart Memorial at 6:45 p.m.
Students: If you will miss a final exam, you will be expected to make it up after Christmas Break unless you have an administrator’s approval to take the exam early. We will have extended media hours for tutoring TODAY, as well as on December 9th, 14th and 16th. You can get help, study or just do homework from 3:45-5:00 p.m. You need to be in the media center by 3:45 p.m. any day you attend. Starting TODAY, line 4 will become the Combo Line. You will be able to choose two different items from a selection of soup, salad or a sandwich. Fresh fruit, veggies and milk will also be available. Chef salads and PB&J sandwiches will be available in the snack room. Also starting TODAY, sliced fresh fruit will be offered on line 2. This will include cored and sliced apples or orange wedges. Whole fruit will still be available on lines 1 and 3. Please remember to check your lunch account balance online. You can deposit money and check your balance at www.myschoolbucks.com. This is a free service! Did you forget to turn in your senior announcement order? Jostens representatives will be returning tomorrow from 10:00-10:45 a.m. in the commons to take FINAL graduation products and cap/gown/tassel unit orders. You can see all of Jostens products at www.jostens.com. Ski Club packets are still available in Mrs. Clark’s room, 2280. Make sure to pick yours up! Paperwork and money are due on Monday, December 14th. 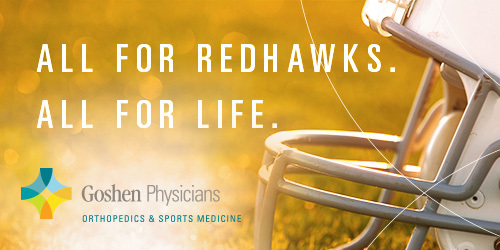 For any student that attended meetings with Ms. Yost to generate ideas on how we should properly honor our years at the Redskins and how we celebrate the new “RedHawk” mascot, there is a meeting at 6:00 p.m. tonight in the GHS cafeteria with alumni to discuss some more ideas. You are welcome to attend this meeting to give more input. The December Stay In Bounds Ambassador meeting will be a “walk by” meeting with your only task being to choose your t-shirt design. Please “walk by” the weight room entrance this Thursday at the start of the 2nd session of SRT to vote and pick up a Christmas treat! The varsity boys basketball team defeated the visiting Mishawaka Cavemen 47-34 on Friday night. Junior CJ Detweiler led the Skins with 13 points and ten rebounds. The varsity Lady Redskins opened up conference play Saturday night with a win over Plymouth, 61-45. The Redskins scored the first points of the game and never trailed. They led 15-10 at the end of the first quarter before outscoring Plymouth 24-8 in the second quarter. Plymouth tried closing the gap, but the Redskins were successful in keeping their lead with tenacious defense. Their defense led to a balanced offensive show by the Redskins. They were led by Olivia Love’s double-double: 19 points, 12 rebounds. Kyrie Potter and Tahya Bruce contributed 13 points each while Ashton Ellis added eight. Aylissa Trosper assisted on five baskets. Jill Kissinger and Potter also added four assists. The JV Lady Redskins fell to Plymouth 25-20 after falling behind 8-0 at the end of the first quarter. They came back and took the lead in the fourth quarter, but didn’t have enough to pull it out in the end. The Redskins were led in scoring by Megan Harmelink with six points and Josie Walters and Breanna Boocher with five points apiece. Redskins were led in rebounding by Maggie Gallagher with eight. The varsity boys basketball team lost to the visiting Elkhart Central Blue Blazers 56-49 on Saturday night. Brady Bechtel led the Skins with 13 points, while Eliot Nafziger added 12 and CJ Detweiler and Colton Potter each contributed ten in the loss. The JV boys basketball team lost to the visiting Elkhart Central Blue Blazers 36-31 on Saturday night. Michael Pinarski led the Skins with 13 points and Clayton Litwiller added nine. The freshman boys basketball team defeated Lakeland 47-23. Goshen was led in scoring by Bryant Robinson with 16 points and Ben Bontrager-Singer with 14 points. The girls C basketball team lost to Lakeland 20-25 on Saturday. The leading scorer was Courtney Sloop with five points. The Goshen Boys’ Swimming and Diving team won Goshen Relays winning 9 of the 10 events. 200 Medley Relay (Ian Shreiner Barger, Logan Hoogenboom, Alan Rivera, Ben Sommers), 400 Freestyle Relay (Samuel Miller, Sam Metcalfe, Jackson Miller), Crescendo Relay (Brenn McKee, Zefram Fransen, Jackson Miller, Sam Metcalfe, Rafael Hernandez-Walton, Will Gaby), Diving Relay (Hudson Kay, Joey Wade), 200 Backstroke Relay (Bailey Eden, Samuel Miller, Alan Rivera, Ian Shreiner Barger), 800 Freestyle Relay (Jackson Miller, Cade Fisher, Bailey Eden, Sam Miller), 200 Butterfly Relay (Alex Ramos, Ian Shreiner Barger, Ben Sommers, Alan Rivera), 200 Freestyle Relay (Rafael Hernandez-Walton, Zefram Fransen, Will Gaby, Brenn McKee), 4×100 IM Relay (Logan Hoogenboom, Cade Fisher, Bailey Eden, Alex Ramos).